Pro-Israel forces at the University of Michigan in Ann Arbor have launched a series of attacks on the right to express support for the Palestinian people and their struggle against Zionist occupation and oppression. In September, Dr. John Cheney-Lippold refused to write a letter of recommendation for a student seeking to study abroad in Tel Aviv, Israel. 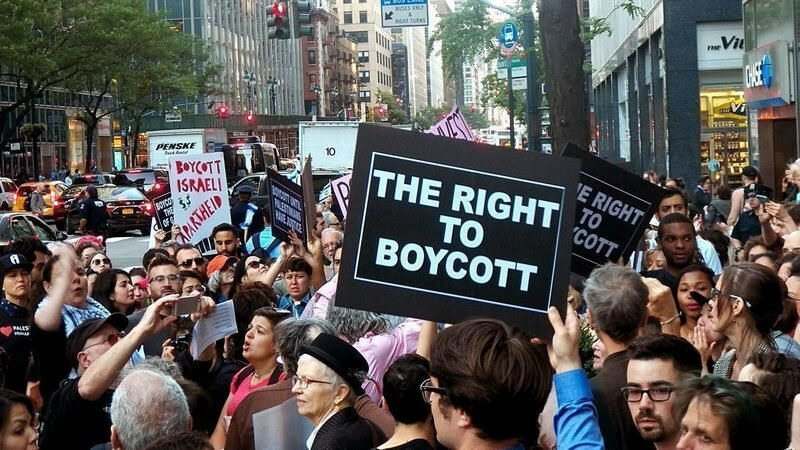 The professor cited the academic boycott of Israel “in support of Palestinians living in Palestine.” The boycott is part of the growing Boycott, Divestment, Sanctions (BDS) global movement in solidarity with the Palestinian people. Cheney-Lippold came under attack as being “anti-Semitic.” On October 3, university officials retaliated by denying him a scheduled two-year sabbatical and his merit pay raise. They also threatened that such future actions on the professor’s part could result in termination of employment. Former Black Panther Party Minister of Culture and renowned artist Emory Douglas also came under attack by Zionists after giving a lecture at the University of Michigan on October 4. Douglas’ guest presentation to the students at UM’s School of Art and Design included one slide of a poster of Benjamin Netanyahu and Adolf Hitler with the word “genocide.” One student created a Facebook post attacking UM for “forcing” her to sit through the lecture. Other Zionist media have picked up this attack. Support for Dr. Cheney-Lippold has come from many sources. The American Association of University Professors issued a letter supporting the professor and urging UM to rescind their punishments. The Communist Workers League issued a strong statement in solidarity with both Cheney-Lippold and Douglas, stating in part: “Academic institutions have a gruesome history of supporting imperialism and colonialism across the globe. Their roles range from performing military research and investing in companies that profit from imperialism, to acting as recruiting grounds for the intelligence and military apparatuses and providing critical intellectual support to ruling class think-tanks…. Peterson is Jewish, which further exposes that anti-Zionism is not anti-Semitism. Support continues to grow and find expression, especially at UM. A call has gone out for supporters to rally on campus and march to the administration building to deliver a letter in defense of Cheney-Lippold and Peterson on Tuesday, October 23. The letter has been signed by almost 300 graduate students. David Sole, who is Jewish, received his MS degree in 1969 from the University of Michigan’s Biological Chemistry department.